Saturday is the first day of September. The streets are full of school-going pupils and teachers. It's time to think long dark winter nights and doing that course you always meant to do. 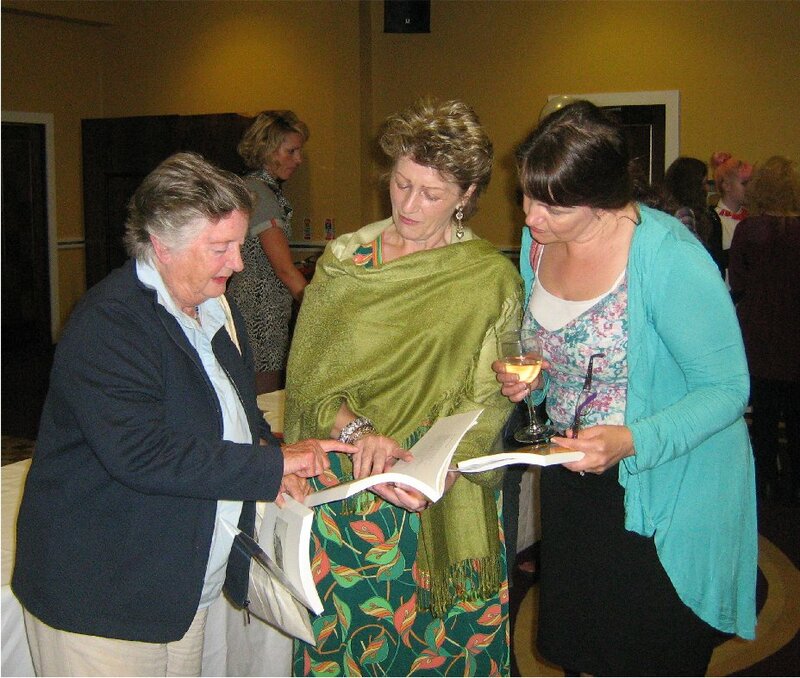 Boyne Writers Group return this evening after their summer break and LitLab in a few weeks. Both groups are organising writing workshops early this term. The Irish Writers Centre has a great variety of course on offer and there are similar courses elsewhere in the country. That's quite a lineup with some very well-know names in there. Something for everyone! Information on times, dates, cost on the Centre website. For Galway check the Over The Edge blog for information on a number of similar courses. And when it's not raining you can sit, drink coffee and read. 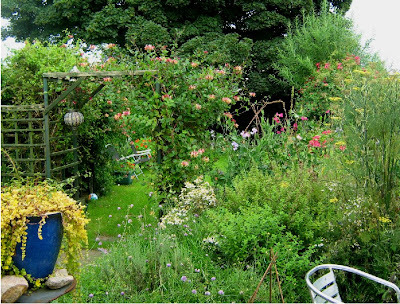 The herb garden (just a curved bed) always looks unkempt and lush at this time. There is always a very large fennel in the centre, with coriander to the right and others including some chives to the left. The fuchsias have done well and I finally gave up trying to grow hostas in the beds. I put one in a pot and used slug pellets to protect it. This has been the best August display in our garden for a couple of years I think. It must be because of the poor weather with the plants thriving on the rain. I don't remember the Hydrangea ever producing so many flowers. It was actually in danger of being dumped for lack of display but has certainly earned a reprieve. 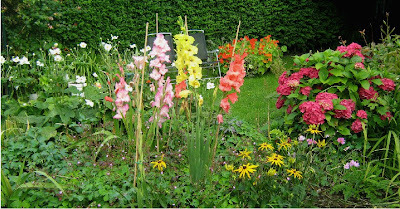 The Gladioli were planted two years ago I think and were a surprise when they emerged again this year. The Japanese Anemone has done very well every year and threatens to take over. Some cutting back after flowering I think. I did cut back the Rudbekia last year and the display is much less impressive this year. It should recover by next year. The Cosmos I bought to fill the gap when the Oriental Poppies finished has done well and is still producing flowers. And of course in the background the Nasturtiums in the old rusty wheelbarrow are putting on a great show. Poetry Ireland in association with Feis Teamhra / A Turn at Tara presents Anne Enright, Susan McKeown, Paul Muldoon and Declan O'Rourke at the Hill of Tara, Co Meath on Sunday 26 August at 2pm. Skylight Poets are now accepting poetry submissions for a new literary magazine to be launched at the 10th Anniversary Over The Edge Open Reading at Galway City Library - Thursday, 24 January 2013 and submissions from designers/artists interested in designing the magazine or in submitting material for publication. Poems, of under 40 lines, should be unpublished and sent, with brief biography, as an attachment (.doc, .docx, .txt or .rtf) and in the body of the email. More details here. 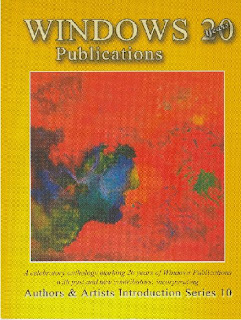 Contributors will receive one copy of the magazine plus an invitation to read at a special Over The Edge Reading, in March 2012. And here are the other LitLab Fleadh bookmarks. Very impressive collection. Members supplied their own images, either producing them themselves or getting talented offspring to do so! The bookmarks appear to have been all distributed during the Fleadh, which was the intention, so there are probably none left. 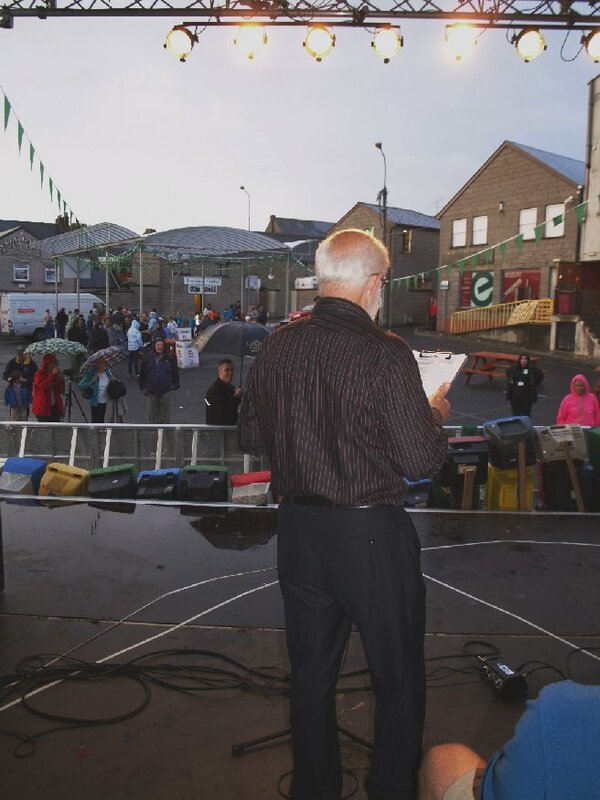 Fleadh Cheoil na hÉireann has been held in Cavan for three years now and our Meath-Cavan Writing Group, LitLab, have been involved to a small degree each year - not playing music or dancing but reading and producing items for free distribution to Fleadh-goers. The first year we produced drinks coasters with members' Haiku, last year we had short poems on pictorial postcards and this year we produced bookmarks. 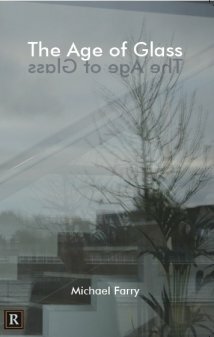 Six of our members wrote short, thin poems and supplied images to create six different bookmarks. They have been distributed in book shops in Cavan and at various events. There were some very complimentary comments about them at the Windows launch. Most of the members took music as their theme but I wasn't listening when the exercise was being explained and did a kind of word association trail starting with book mark and ending with closed book. The image I used is from a stained glass window in St Patrick's Church, Trim. Each year we were encouraged by Cavan Arts Office and the energetic Arts Officer, Catriona O'Reilly, who financed the production of these items. This is the last year of the Fleadh in Cavan so next year we will have no excuse to produce something. But then who needs an excuse to publish! I can't sing, I can't dance, I can't play a musical instrument but I performed at Fleadh Cheoil na hÉireann in Cavan 2012! The Meath/Cavan LitLab group were invited to do two fifteen minute slots on the Green stage and we were delighted to be a part of it. 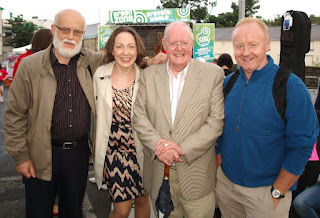 We had done readings for the previous two Fleadh in Cavan in a small hall to a very discerning audience. These were different. The Green Stage has different performers every fifteen minutes, there was no published programme so the audience consisted of people who had wandered into the area or were connected with some of the other acts. So a different challenge and one we met head on. 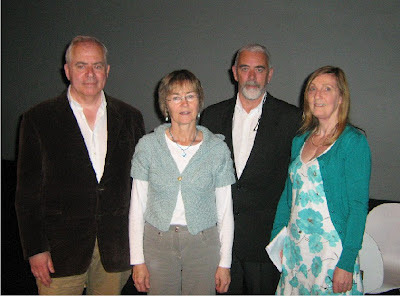 On Friday evening Paddy Halligan, Paddy Smith, Lorna Milligan and myself read poetry and prose to a reasonably sized audience which was appreciative and applauded at the right time. Some even came up afterwards and complimented some of us on our pieces. Paddy Smith's story about an insurance salesman's effort to decide if a potential customer was a Catholic or Protestant was especially mentioned. I even saw a few smiling at various lines in my Celtic Tiger Recession Blues. Saturday morning at 11.30, we were reduced to two readers, Paddy Smith and myself, but we acquitted ourselves well, read for fifteen minutes to what was a slightly smaller audience. 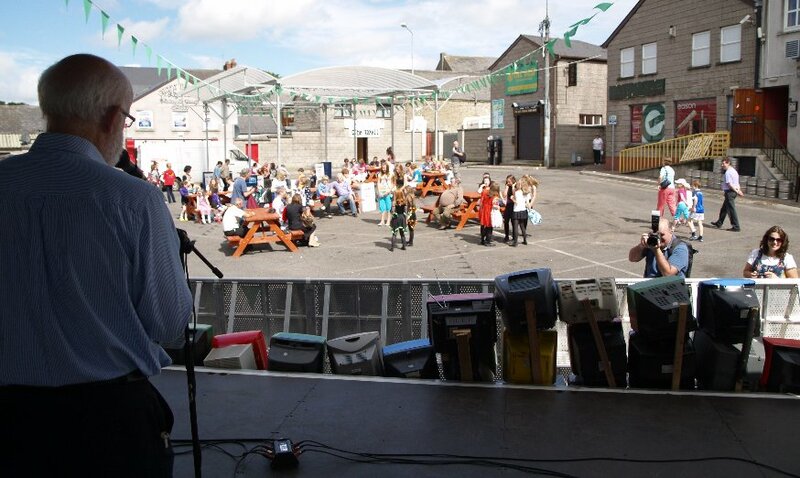 LitLab is delighted to have taken part in each of the three Cavan Fleadh Cheoil. We had a poetry/prose reading each year and, with the help of Cavan Arts Office, we produced some small items which were distributed free to attendees. 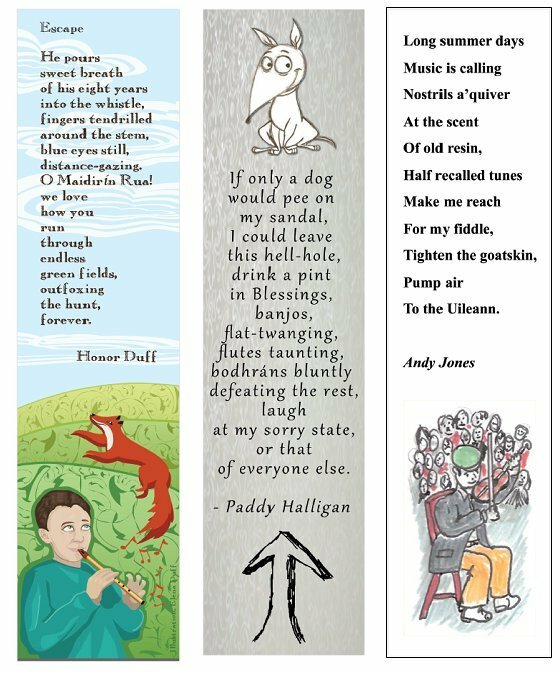 In 2010 we produced drinks coasters with our haiku, last year colour postcards with our short poems on the theme of music and this year bookmarks. More about those later. 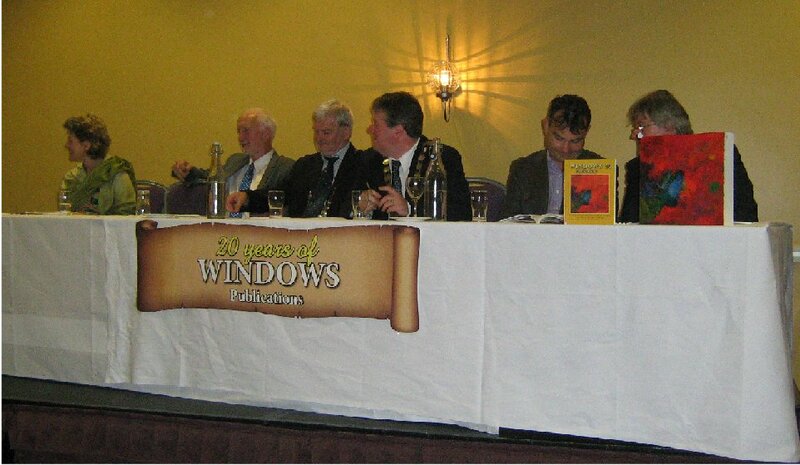 Windows 20 Anthology was launched in Cavan on Wednesday evening last. A most enjoyable and well-attended event with readings by a dozen poets and an art exhibition by some of the artists featured in the volume. Congratulation to editors Heather Brett and Noel Monahan. 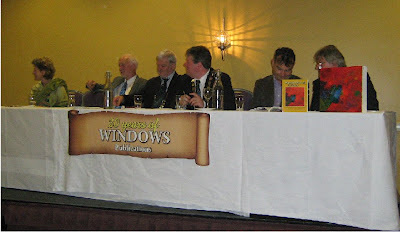 This anthology is a fitting tribute to their work with Windows Publications over the last twenty years. The top table: From left, Heather Brett, Cavan Co. Manager, Cavan Co. Council Chairperson, Mayor of Cavan, Joe Woods of Poetry Ireland and Noel Monahan. 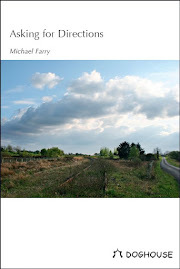 This is an impressive anthology of single poems from many of the best-known and well-regarded poets in Ireland. 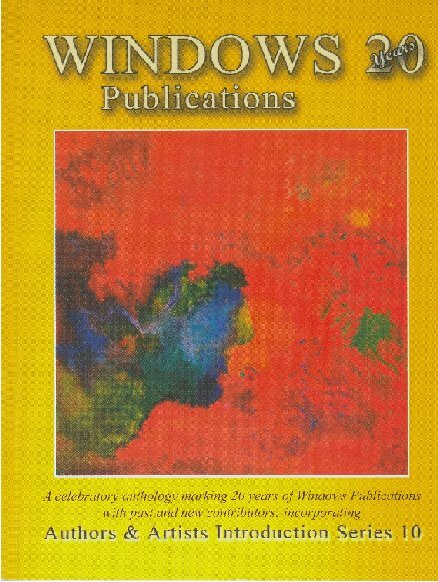 I'm thrilled to be included alongside people like Pat Boran, Eiléan Ní Chuilleanáin, Michaél D. Ó hÚiginn, Macdara Woods, Nessa O'Mahony, Theo Dorgan, Peter Sirr, Michelle O'Sullivan, Moya Cannon etc etc. Poets Honor Duff, Heather Brett and Kate Dempsey. Among the readers in Cavan were Kate Dempsey, Mary Melvin Geoghegan, Gerard Smyth and Joan McBreen. The volume also includes five writers in the Authors and & Artists Introduction Series 10 - Luke Morgan, Breda Wall Ryan, Eoghan O'Driscoll, David Mohan and Canadian, Carolyne Van Der Meer, as well as artist Ruth Cadden. 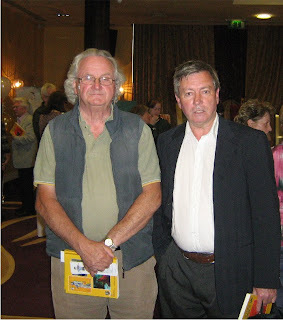 Poets Eamon Cooke and Kieran Furey. The anthology will be launched in Dublin at the Irish Writers Centre on 6 September and during the Patrick Kavanagh weekend at the end of September. There will also be a Longford launch. 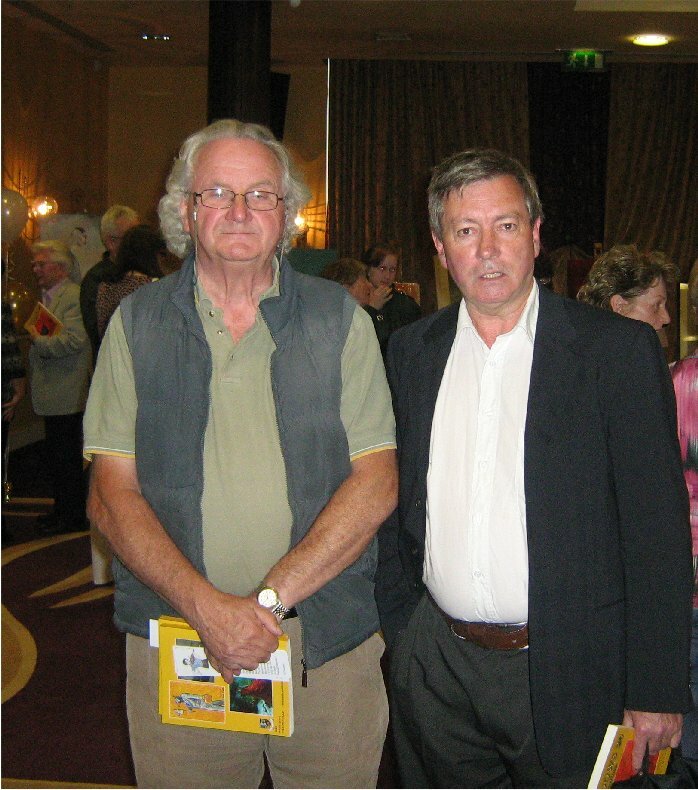 Again this year LitLab Writers Group is doing a reading at Fleadh Cheoil na hÉireann in Cavan. 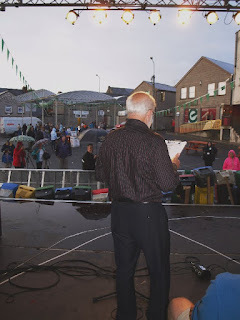 We are reading poetry and prose on the Green Stage in Bridge Street Carpark, Cavan Town on this Friday 17 August at 7.45pm for 15 minutes and on Saturday 18 August at 12.30 also for 15. The Green Stage provides free entertainment, Ceol, Craic, Filiocht, Caint agus Damhsa, by various musical and artistic performers. Three or four of us will take part in each session so that's no more than five minutes each. Short and snappy! So what to read? Maybe it's time to bring out the Celtic Tiger Recession Blues again. I had hoped it might be out of date by now but it looks as if it will be current for some time yet. 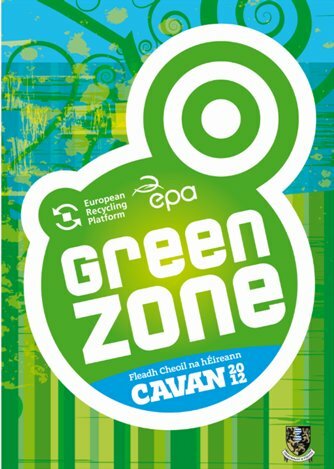 The Green Stage is part of the Green Zone programme which is a joint initiative of the EPA and European Recycling Platform (ERP)to raise awareness of the importance of recycling. Fleadh Cheoil na hÉireann runs in Cavan from 17th – 19th August 2012. Wednesday, 15 August, sees the launch of the Windows 20 anthology celebrating twenty years of Windows Publication run by poets Heather Brett and Noel Monahan. 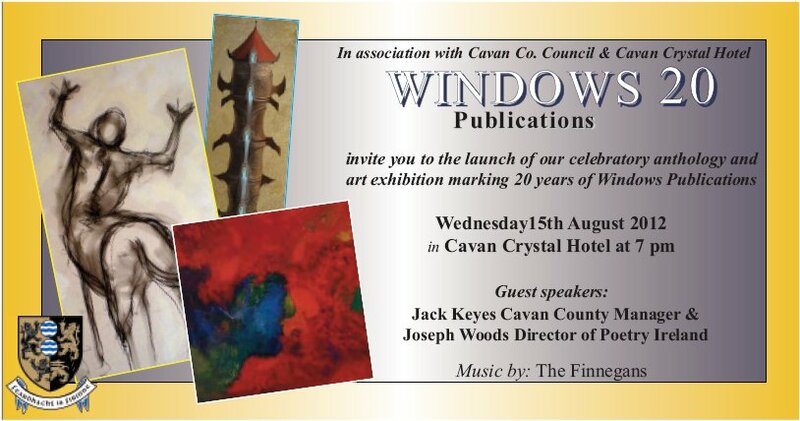 The launch takes place at 7pm in the Cavan Crystal Hotel and there will be readings from many of those included in the anthology. 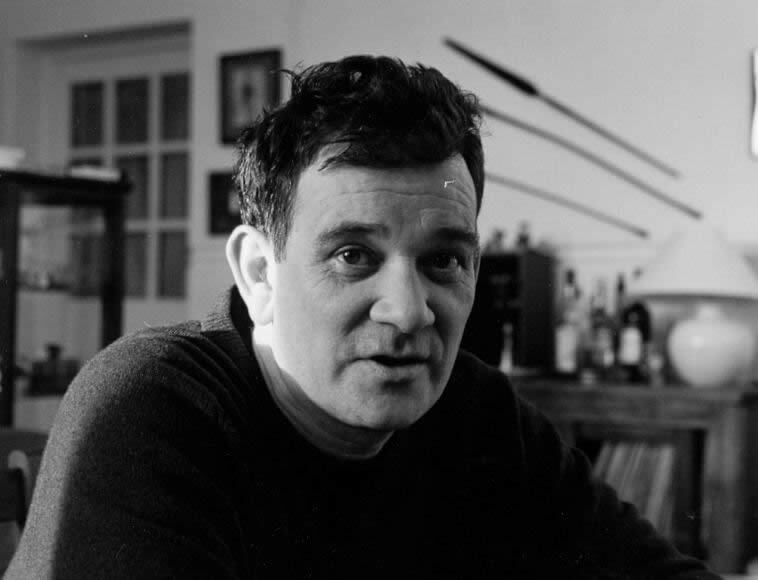 Among the speakers will be Joe Woods of Poetry Ireland. Each of Windows previous publication included art as well as poetry and prose and this is no exception. An art exhibition featuring artists included in the volume also takes place in the venue on the same date from 5pm to 9pm . Free admission, refreshments served and everyone welcome! 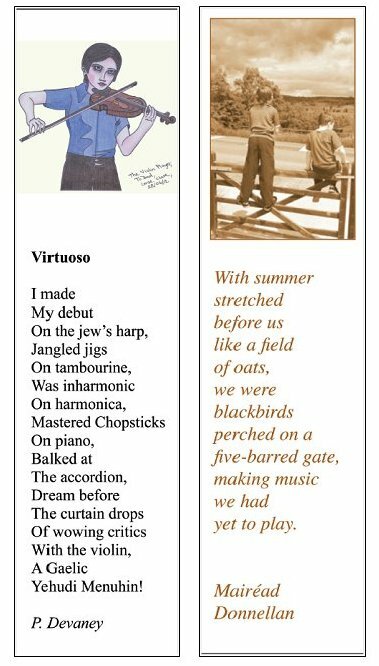 I had a poem included in the Aesthetica Creative Works Annual 2010 which included the selected winners in the art and writing competitions. This year they are launching two separate prizes: the Aesthetica Art Prize and the Creative Writing Competition and publishing two separate volumes. £500 prize money – Poetry winner. £500 prize money – Short Fiction winner. Publication in the Aesthetica Creative Writing Annual. 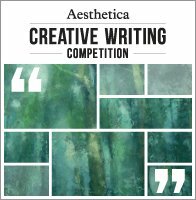 Complimentary copy of the Aesthetica Creative Writing Anthology. A selection of books from our competition partners, Bloodaxe and Vintage. 6 months’ studio rental courtesy of AWOL Studios. £1000 prize money – over-all winner. A selection of books from our competition partner, Prestel. The deadline for both competitions is 31 August. The wet summer has meant plenty of vigorous growth in the garden. And this recent sunny spell has seen the garden at its best. 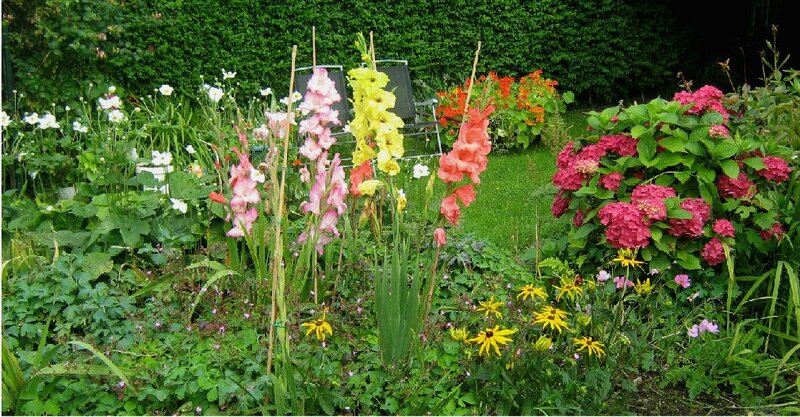 The woodbine has never been better and the sweet pea have done remarkably well also. 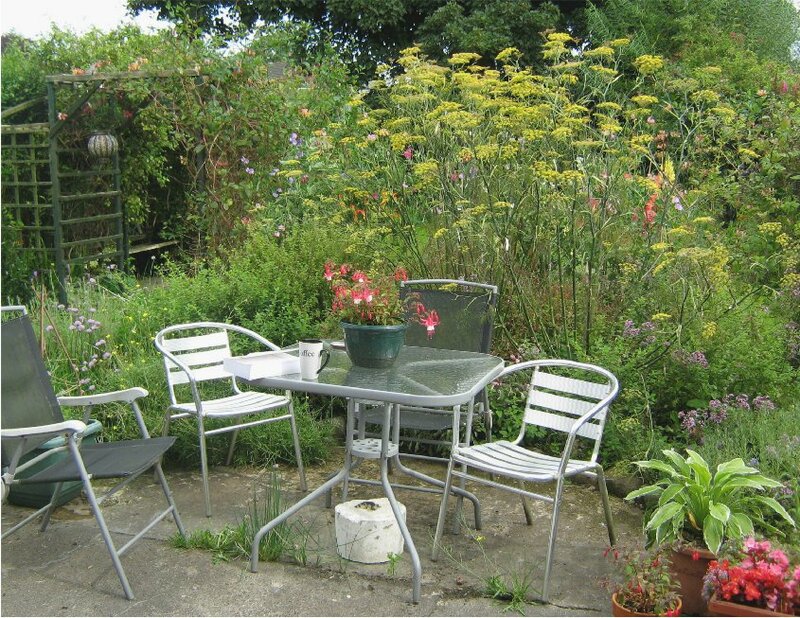 The herbs are overflowing their space, the fennel and the feverfew especially prominent. In the background the nasturtiums look good in the old wheelbarrow and the willows provide a good framework for the old rambling roses. And the fuchsia is doing well in the hanging thingumajig. A relation said "I love the wilderness look of the garden!" I said "It takes a lot of work to get that wild uncared-for look". Intensive Novel Writing Course at the Irish Writers Centre, Dublin with Carlo Gébler. Guest writers include : Keith Ridgway, Sean O'Reilly, Karen Gillece and Mia Gallagher. Duration: 5 days, Monday - Friday, 3rd - 7th September, Time: 10.30am - 4.30pm. Cost: €450/€420 (members). Spaces are limited so early booking is advised. This is a five-day course for those who either want to start a novel, advance a novel, or finish a novel. The course will be highly structured. Each morning will start with an informal presentation by the tutor, Carlo Gébler. This is based on a novel that the tutor admires. After the informal presentation participants will be expected to talk about the work they wish to write or to read from work they have written. In order to facilitate this, participants must bring to the course either, if they are beginners, a description of the novel they want to write and a summary of its plot, or, if they are more advanced practitioners, as much of the manuscript as they have written. 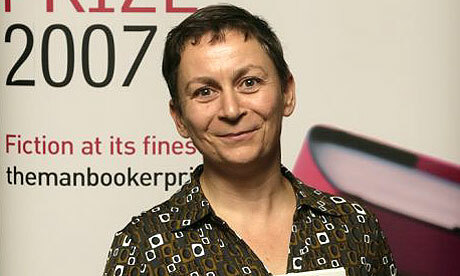 The talks and/or readings will be followed by a discussion, led by the tutor, about what has been read aloud. In the afternoon guest writers will give a talk on novel writing or an aspect of novel writing and, if time allows for it, will give a critique of a students work. At the end of five days participants should have a better sense than when they started of the book they want to write and how to set about starting it, advancing it or finishing it. More information on the Irish Writers Centre website. Labels: Intensive Novel Writing Course; Irish Writers Centre; Carlo Gébler; Keith Ridgway; Sean O'Reilly; Karen Gillece; Mia Gallagher. The cover has been decided for my history book. I'm very pleased with it, a nice clean design with Sligo well highlighted. The cover picture is very striking. It's a Rolls Royce armoured car, probably The Ballinalee, in Old Market Street, Sligo on Easter Sunday 1922 for the pro-Treaty election meeting. The picture is in the Irish Independent archive in the National Library of Ireland and was almost certainly taken by Sligo photographer and author Tadhg Kilgannon. Thanks to Paul Gunning of Sligo for alerting me to the photo and identifying the street. Full details of the book on the Four Courts Press website.The book is a "balanced, comprehensive and absorbing study of county Sligo from 1912 when the Irish Party controlled all political affairs to 1922–3 when the county saw considerable action during the civil war". This is the first of the Irish Revolution series from Four Courts Press and this will be the standard design of the series' covers. Different picture of course. Sligo is first!! Not sure of publication date but either just before or just after Christmas. Details on the publisher's website. Ballymote Heritage Weekend is always an enjoyable and interesting affair. A mixture of daily outings and evening lectures, this years programmes is as varied as usual. Last year I gave a lecture there and this year I may drop in for one or two talks. Kevin Myers on Monday evening should be interesting. Lecture programme: All at 8.30 in the Coach House Hotel, Ballymote. What is classical Architecture? Edward McParland. Myths and Monuments from Moyturra to Keashcorran, Co Sligo. Sam Moore. 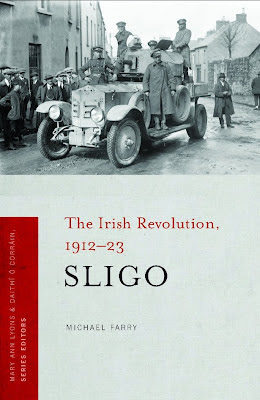 Ballymote, Sligo and the Great War. Kevin Myers. 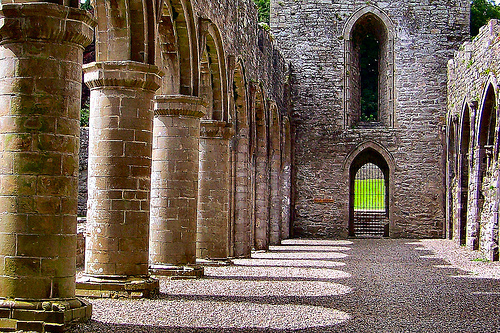 There are outings to Boyle Abbey, Roscommon (picture above), Emo Court, Laois, Newport and Burrishoole Abbey, Mayo. A busy day in Sligo today. I attended two lectures of the Yeats Summer School, the presentation and readings of the iYeats Poetry Competition and was filmed for a forthcoming TV history documentary. The two lectures were: Joe Lee, New York University: Yeats and History, and Keith Schuchard: Swedenborg, Yeats, and Jacobite Freemasonry. More later on these maybe. The iYeats presentation and reading, in the Hawk's Well Theatre, was enjoyable. It's great when the judge attends and says something about why he/she wnet about the task of choosing the winners. Theo Dorgan and Paula Meehan were the judges and Theo was present. He spoke of how difficult it was and how long it took to choose a shortlist and then to choose a winner. They were looking for a sense of devotion to craft and clarity of language. The commended poems certainly displayed these qualities, he said, and he spoke about how the winning poem in the Open section created space between the lines. Silvered Now, and Fine by C. P. Stewart. Richard, Rachel and Breda attended (pictured above with Theo) and read and the other poems were read by Hawk's Well staff and in the case of C.P. Stewart's by Richard Halperin. Lyndsay lives in New Yourk and sent a video file of her reading her winning poem. You can read the poems on the iYeats website. Thanks to Connie for her great comment below. Here is the link to the YouTube video of Lyndsay reading her winning poem. Labels: Yeats Summer School; Joe Lee; Keith Schuchard; iYeats Poetry Competition; Theo Dorgan; Paula Meehan; Richard Halperin.